Kindness, the incredibly positive value we all understand and have experience of, was once again ramped up on the streets of the city centre neighbourhood for Random Acts of Kindness Day 2017. Combine, two teams armed with 5000 “Little Pots of Kindness" filled with the sweetest of bush honey and “kindness cards” encouraging both the consideration of kindness and a call to action, with 19 neighbourhood "Cafes of Kindness" handing out free coffees and you have a sweeping wave of kindness through the city centre neighbourhood. One lady came up to me after “S” gave her a pot of honey and she started crying – she said that she needed this today, she’s been going through a lot of hardship lately. 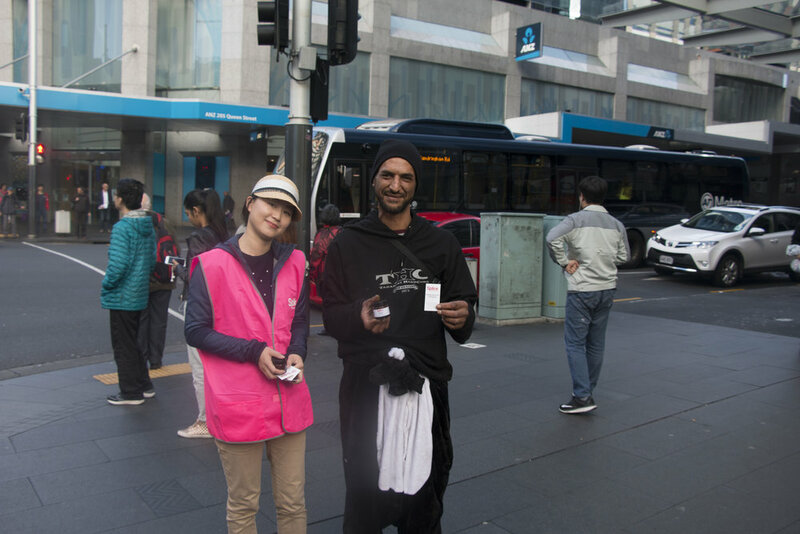 Kindness Splicers – the residents, students, workers and others, who generously were able to find the time to put normal life aside for a morning and pluck up the courage to hit the streets to give kindness to others on a Friday morning. Hikutaia Honey – Barbara and Allan for their honey and the warmth of their hospitality, as the team knuckled down to manually fill the “Little Pots of Kindness” that create the magic that touches the hearts of those who receive them. Methodist Mission Northern and Aotea St James without whom the work of Splice in connecting the threads of community would not be possible. Activate Auckland Council – for their contribution to the funding of the action and understanding, that a city that invites kindness, is a place we all want to live, work, study and play in. 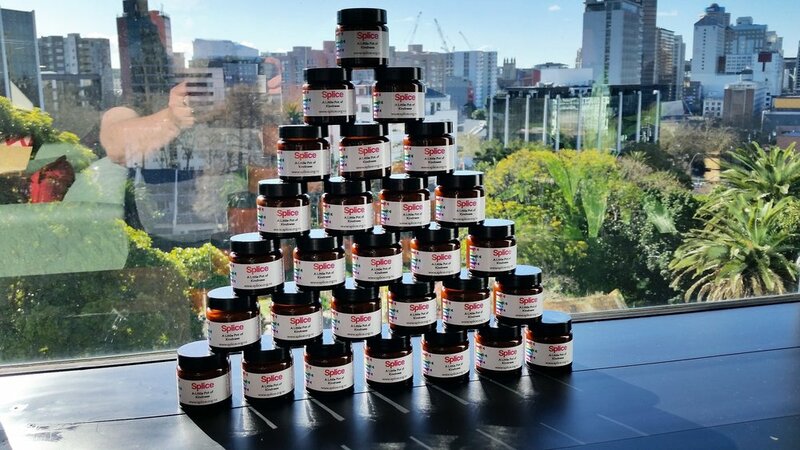 Cospak and Mainfreight – Cospak who gave us a great deal on the jars and lids and Mainfreight who readily came to the party in delivering them from Auckland to Opotiki. Kindness from business in support of community engagement and enhancement is always welcome from an NGO who can’t always stretch to cover all avenues. Active Building Management and Network Media – communication within the city centre can be tricky without a swanky marketing budget. Our thanks to these two and others for getting the message into a good number apartments and in front of people on the Red Bus that circulates the neighbourhood. Kindness Cafes - it is heartening to engage with so many neighbourhood cafes, who see themselves as active participants in their community and leapt at the chance to be part of the day. Finally to Everyone who engaged in Random Acts of Kindness, acts big and small, on this day and beyond – keep up the good work and - practice makes perfect.